No doubt, weekends in Lagos is a time to look forward to after the hustles and bustle of a working week. It’s no wonder the business of leisure and entertainment thrives most on weekends. 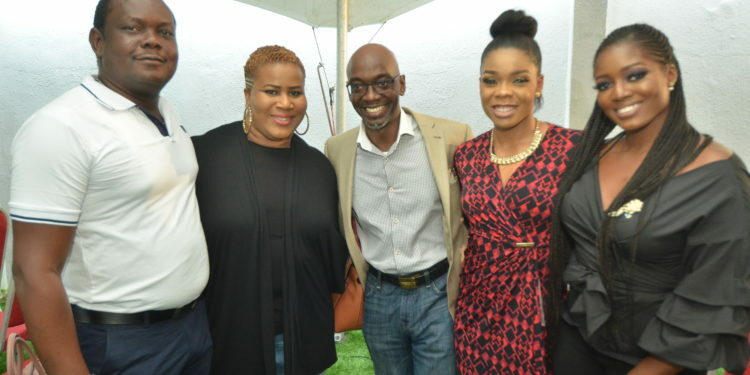 Leisure and entertainment hangouts open up their doors for Lagosians to unwind. 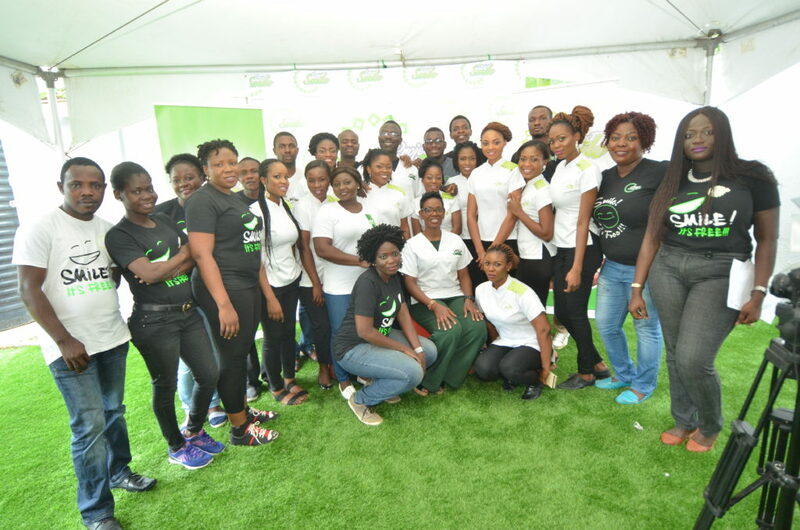 The spotlight beams on social hangouts such as Fitness Clubs, Concerts, Weddings, Comedy Shows, Cafés and Lounges where you’re sure to meet celebs with their stock-in-trade to provide the relaxation and entertainment Lagosians had longed for while bustling during the working week. Last weekend, a few celebs chose an unlikely place to ‘hangout’. 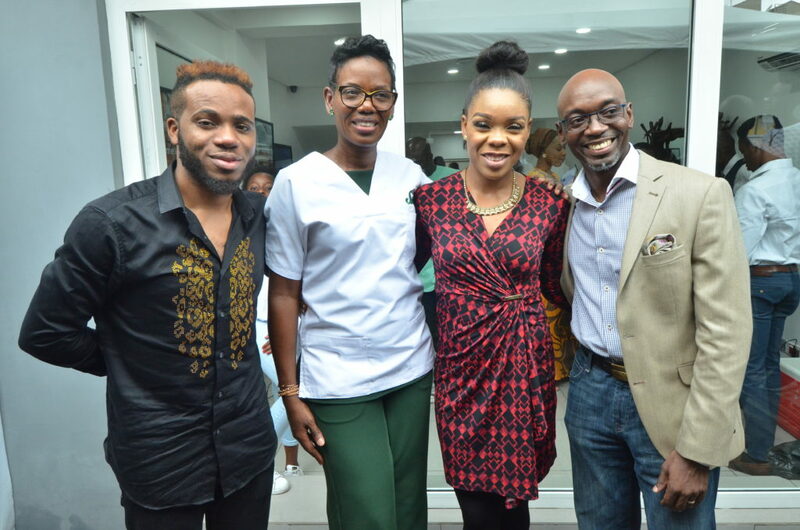 The place was Smile360, a dental specialist center on Cameron Road, Ikoyi. 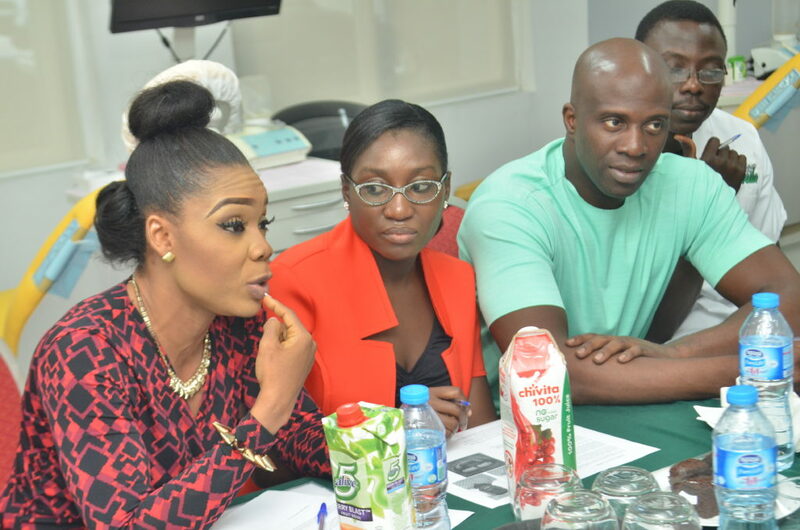 Ace Dance Icon and Guinness Book of Record Breaker, Kafayat Shafau aka Kaffy; Celebrity Fitness Coach, Maje Ayida; Comedian,Actress & Singer, Chigul; British-born Nigeria Music Artiste and Songwriter, Tonye Garrick; Therapeutic Dance Hall Artiste and Human right Activist, Yinka Lawanson aka Lamboginny; TVC “Your View” Co-host Jumoke Alawode-James teamed up with Dentists, Consultant Orthodontists and other professionals in the marketing communications landscape last weekend in July to put smiles on faces of some Nigerians with flawed dentition who can’t afford a smile makeover. 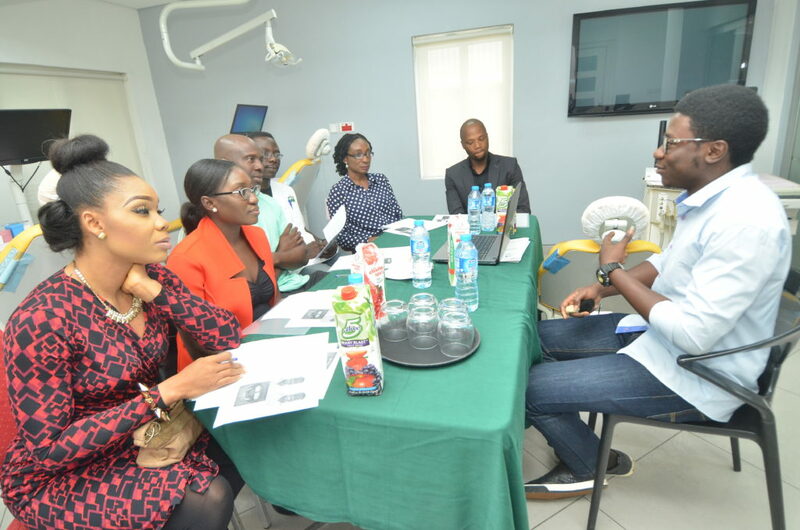 Premised on Project Smile, a complimentary smile makeover initiative founded by Dr. Amy Traore-Shumbusho, CEO, Smile360 for Nigerian youths who have suffered lost opportunities and stigmatized due to cases of flawed dentition; the celebs showed up at the dental practice to support the Project Smile cause of ‘giving great smile’ by serving as panelists in the assessment process to adjudge winners in the smile makeover contest. Olufunto Siyanbola, Admin. Assistant at Cycology Riding Club emerged winner in the Mild Category with a cumulative score higher than the other nominees in the category. 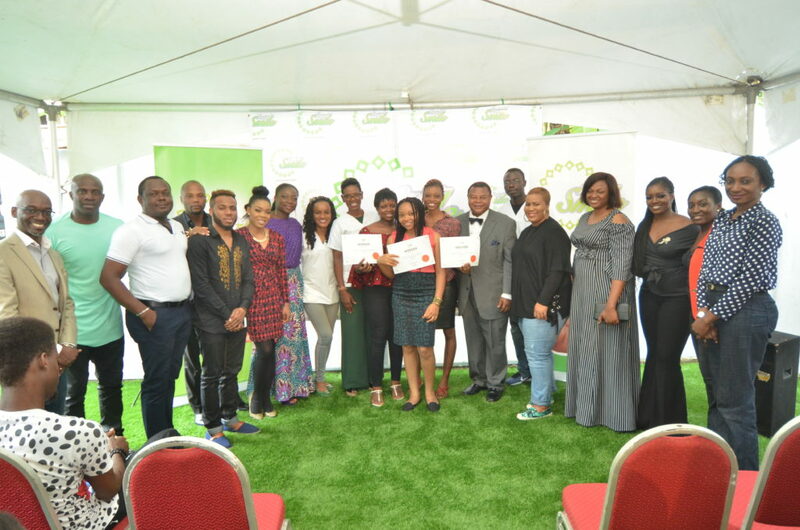 In the Moderate Category, Victoria Peters, a Fashion Designer and Frontline Customer Care Executive for an online fashion mart the emerged winner. 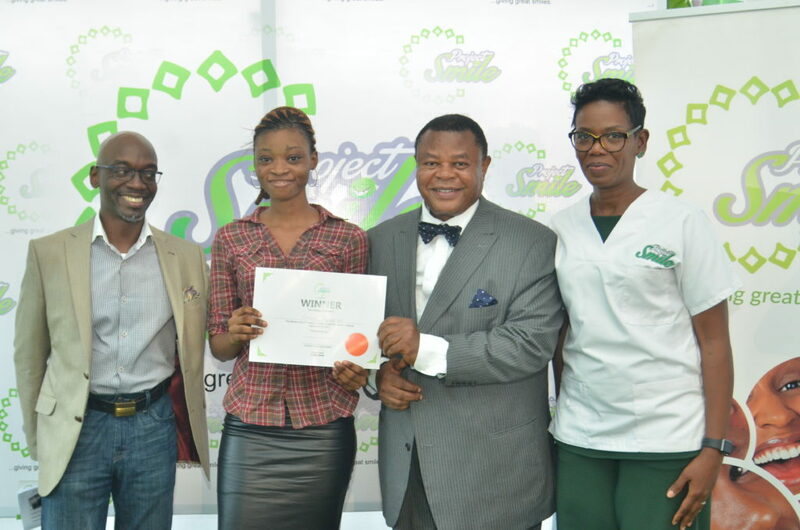 Sharon Ademoluti, a 400 level Student of the Department of English, UNILAG beat four nominees in the Severe to emerge the grand prize of the Smile Makeover program. 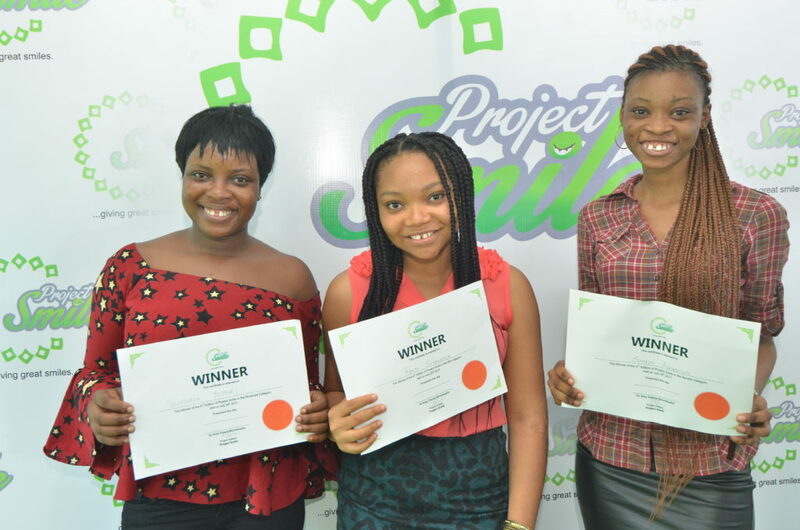 All three winners were verified to be in lack of the financial capacity to afford the smile makeover treatment on their own. 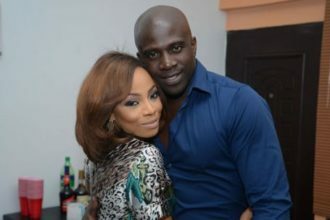 Elated Siyanbola said that her dream of the great smile she had longed for has been finally realized. 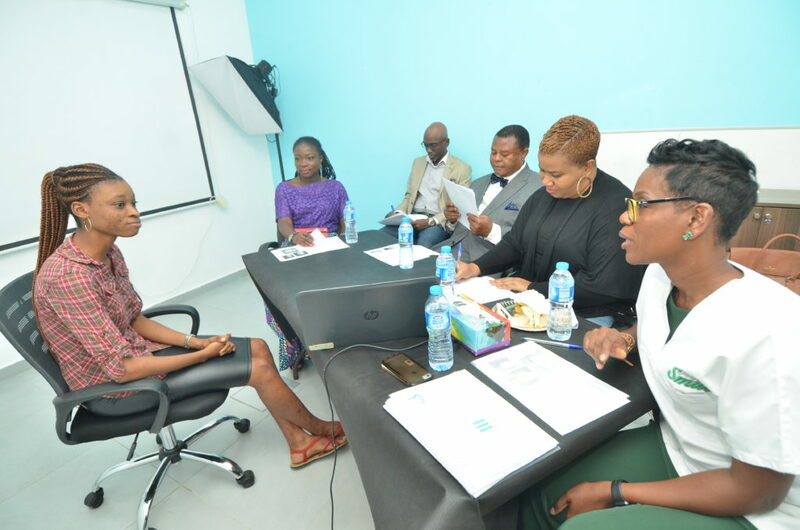 “I can’t wait to commence the makeover program. 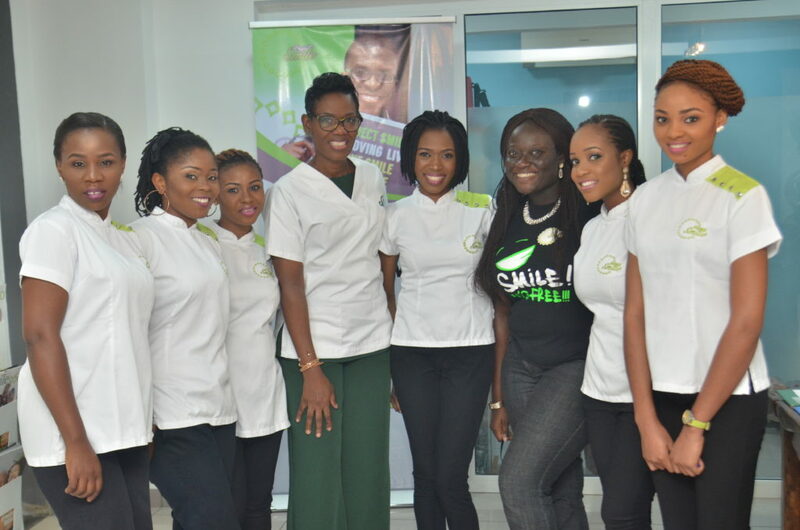 I had tried saving from my meagre earnings towards a smile makeover treatment for a long time but the cost is too high everywhere I went that each year rolled by giving me the impression that it’s a pipe dream but I kept my faith alive that it would happen and luck showed up through a call for entry publicity material on Instagram. I wasted no time to enter for the contest.” She explained. For Victoria Peter, winning the prize in the moderate category was a surprise as she didn’t think she would win. “I can’t thank God enough”, she said amidst tears of joy. 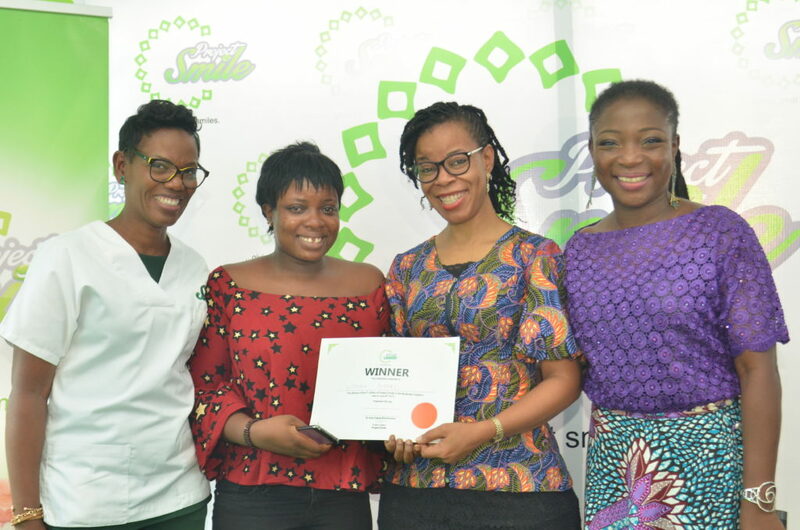 Regarded as grand winner, Ademoluti who took home the prize in the severe category said that the smile makeover is indeed timely as a final year student as she’s sure she would be entering the labor market with the perfect dentition she had long dreamed off. Dr. Shumbusho congratulated the winners and urged them to open to real change. “On behalf of my team, I congratulate you on this day, you’re beginning your journey to realize your dream of a great smile. 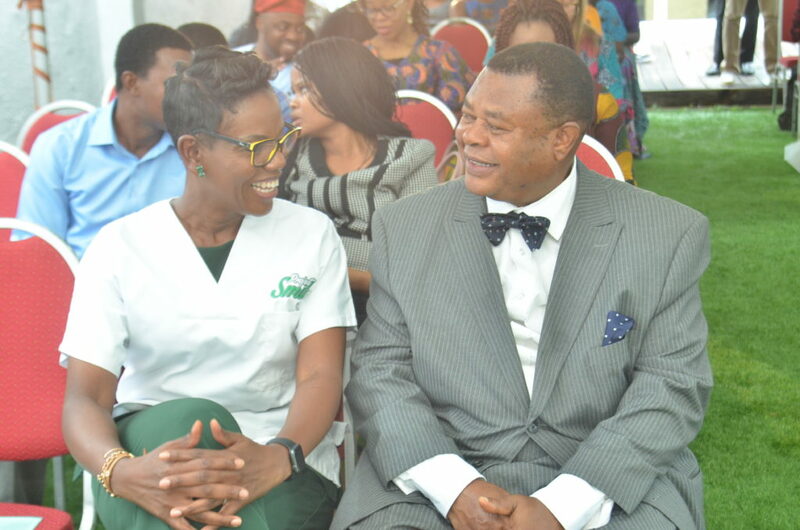 While you would undergoing clinical procedures to give you the great smiles you so desire, real change comes from within.” She urged the other nominees to keep trying and not give up on their hope and faith in achieving the perfect smile they so desire.